Paris (AFP) – Tax powers from the world’s richest nations opened a meeting in Paris on Wednesday to jointly probe murky offshore dealings revealed in the huge ‘Panama Papers’ data leak. 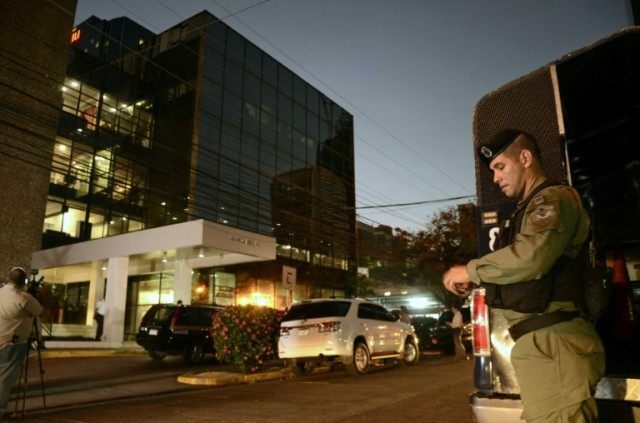 The leak of 11.5 million confidential offshore financial documents from Panamanian law office Mossack Fonseca offered tax authorities an unprecedented trove of data to delve into alleged wrongdoing. “We are basically trying to get the bigger picture,” Australian Tax Commissioner Chris Jordan, who proposed the joint investigation, told the Australian Financial Review business daily. “It has never been tried on this scale before,” Jordan added. Australia convened the closed-door meeting of government officials in Paris as chair of the Joint International Tax Shelter Information and Collaboration Network, which collaborates to crack down on cross-border tax cheats. The tax haven investigative network is an initiative of the Paris-headquartered 38-nation advanced economies club, the Organisation for Economic Cooperation and Development (OECD). “The meeting at the OECD presents tax administrations with a first opportunity to act on the considerable body of information revealed by the Panama Papers release,” the OECD said in a statement in the run-up to the gathering. The tax officials gathered behind closed doors in Paris just hours after Panamanian organised crime police raided the headquarters of Mossack Fonseca, which says its confidential documents were stolen in a computer hack. The world’s business, political and even sports elite have been thrown onto the defensive by the findings, published April 3, of a year-long probe by a consortium of investigative journalists, which examined leaked documents covering almost 40 years from around 214,000 offshore entities. Although not illegal in themselves, offshore financial transactions may be used to hide assets from tax authorities, launder the proceeds of criminal activities or conceal misappropriated or politically inconvenient wealth.